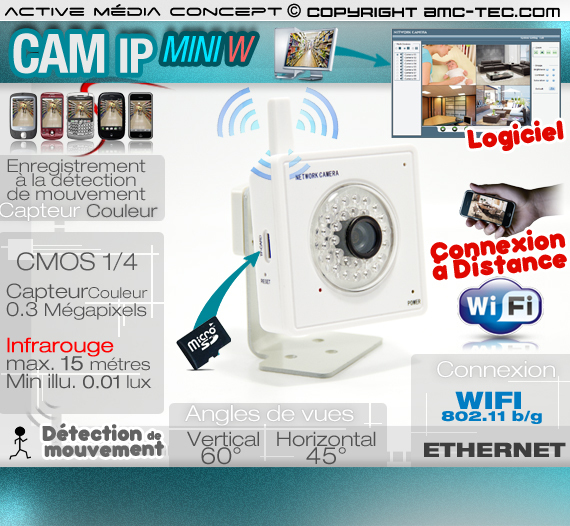 IP camera connected to the Internet by WIFI wireless system lets you access your camera & smartphone web browser, or you are. Watch LIVE in your office, home, warehouse ... from your phone iPhone, Blackberry, Android, and other Internet-connected smartphones. 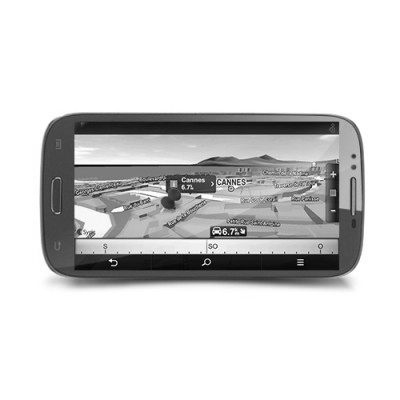 Also with your PC or you can view and modify the settings of your camera remotely. 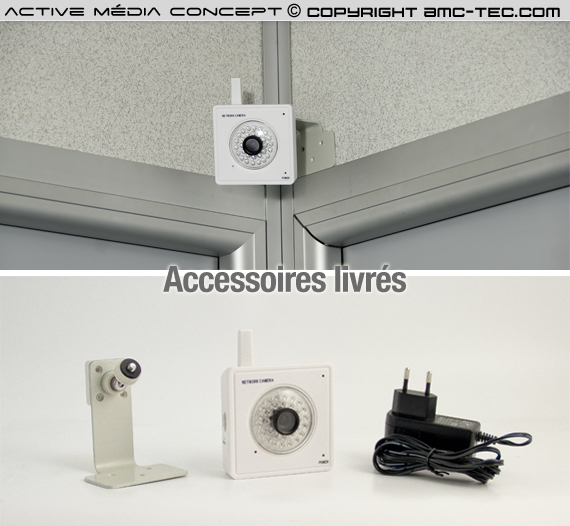 The camera works by recording motion detection, scheduled or manual. All records pouront be recorded on the memory (inside) of the device, with the help of a Micro SDHC Card available (optional) from 2GB to 8GB of capacity. 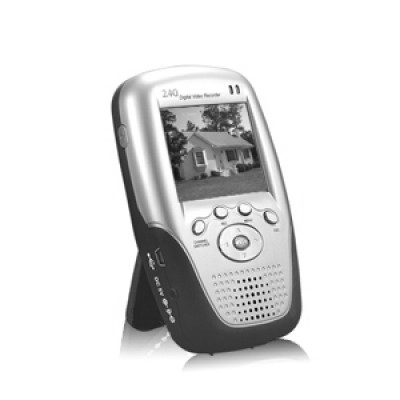 300 000 pixels sensor CMOS 1 / 4 of the camera, allows a good quality recording and viewing at 640 x 480 pixels. The advantage of IP cameras is that they allow individuals and professionals to view their cameras from any internet connection via a laptop, a 3G phone like iPhone & Android. With the free application available on the AppStore or Android Market. 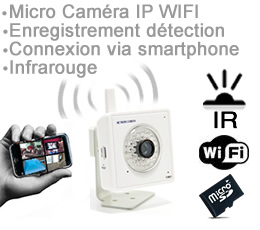 This application will allow you to watch in real time on the phone the vision of your IP camera Nour night. 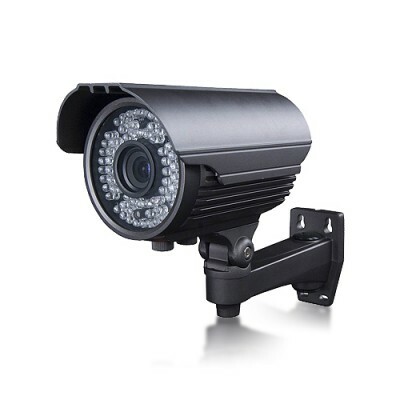 IP camera integrates 30 infrared LEDs for night surveillance, even in total darkness. 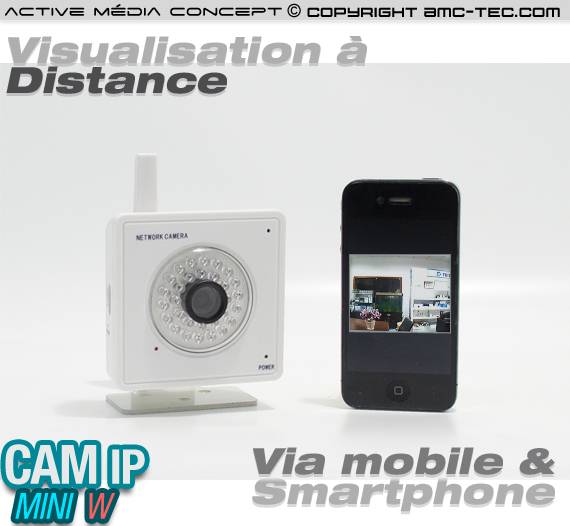 With its 15 meters of range, this camera is ideal for monitoring your office or your baby's room at night. The minimum illumination will drop to 0Lux with infrared diodes and 0.1 LUX without infrared LED. 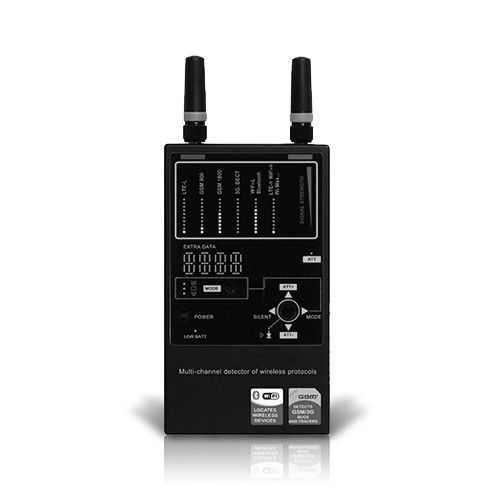 IP camera features a Micro SDHC card slot up to 8 GB to serve as the repository. Subsequently direct access via your Internet browser (IE) in the history of video recordings. IP camera integrates the camera microphone sensitive to allow the user to hear duran video recordings the person detected by the IP camera. 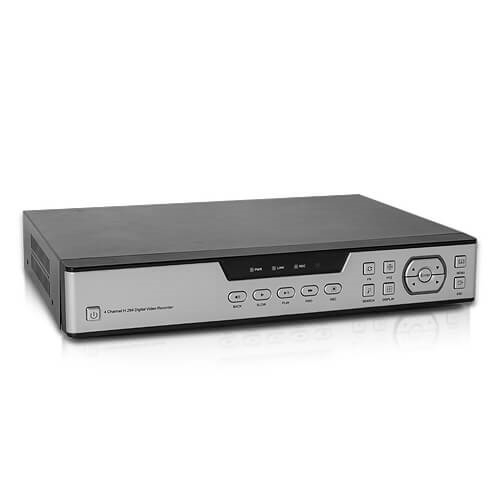 Our wireless IP surveillance camera is very simple installation and operation, it ensures a high quality video surveillance where it is installed as a remote surveillance via internet. You can associated with this camera from January to October cameras for protection under video surveillance, ideal for those favoring a wireless monitoring. The videos are smooth and of good quality, you can choose from several resolutions 640X480 at 30 frames per second or 340 x 240, video compression is multi MPEG-4 and MJPEG. The sensor includes an angle of 60 ° horizontal by 45 ° vertical. 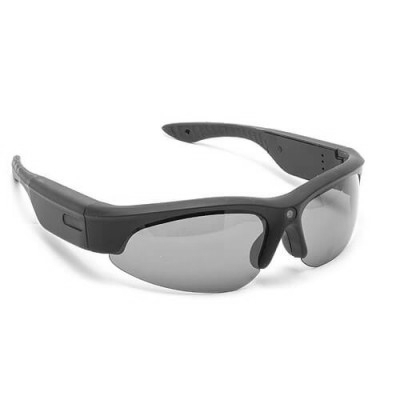 Around the sensor to reach 30 LED Infrared night vision up to 15 meters. 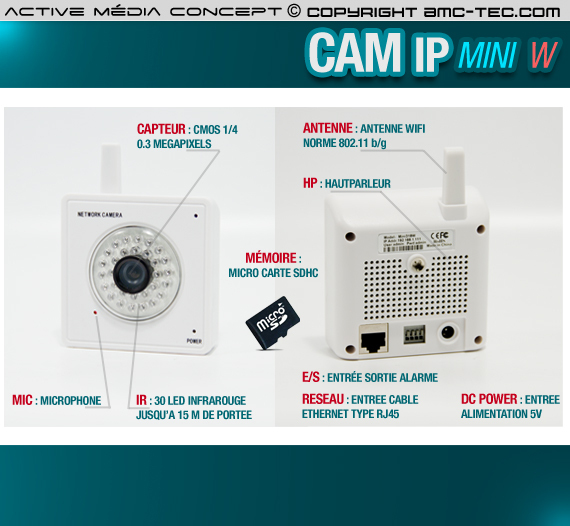 Our wireless IP Camera comes with everything needed for installation.